Spring is here and with it comes a visit from the Easter Bunny. We love spending the weekend with family and this year will be no different. We’ll be enjoying some tasty lamb at our annual Easter Eve dinner (we’re hosting this year! ), attending morning Mass with my family and two separate feasts during the day. A furry friend with a taste for carrots will also be descending on the log home for the first time. 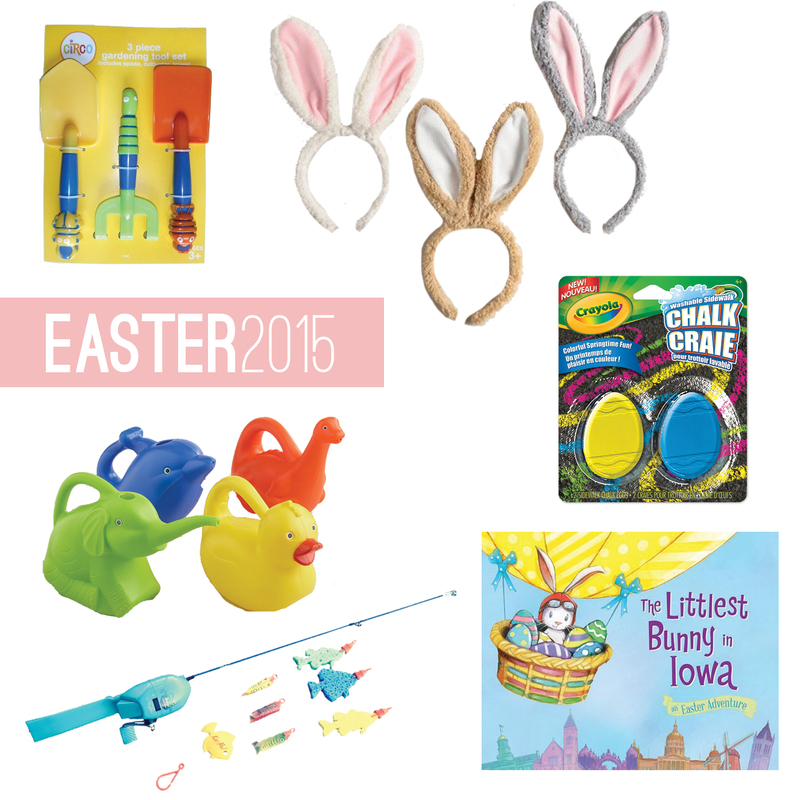 So in his/her honor, I’ve rounded up a great crop of goodies that any little bunny would love to find in their basket come Sunday morning. This entry was posted in Family, Holidays and tagged Easter, Easter bunny. Bookmark the permalink.